What started as a typical mother-daughter bookstore run quickly turned into culture shock -- and not in a positive way. “So, of course, I thought she'd found something she wanted to buy, but it was completely the opposite. She was looking at two books that had made her so enraged she was actually in tears,” Cooper told TODAY. KC found two books titled How To Survive Anything, one aimed at boys and the other at girls. For the boys' version, the cover showed a kid looking over at an angry crocodile, ready to attack. On the girls' -- two young girls, one on a zip line and the other posing in a mini-skirt, hip popped. Cooper wrote on her blog that her daughter was especially upset about the "How To Survive A Camping Trip" chapter since she loves camping. The cartoon caption on the page reads: “Camping may not always be a girls’ choice of activity...” with an accompanying picture of a girl in a bikini sunbathing. KC didn't just get mad though. She wanted to tell the store's manager about the books. And when an employee overheard their conversation, she asked what was wrong, became equally horrified by the sexist language -- and removed all the books from the shelf herself. Cooper told TODAY that the books not only hurt girls’, but boys, too. "In reality they might actually benefit from a lot of the advice in the girls' book, like ‘How to Survive Shyness’ or ‘How to be a Brilliant Babysitter,'" she said. KC expressed her opinion of the survival books by reviewing them on UK’s Amazon.com. "Do not buy these books for your daughter, or it may make her cry like I did," she wrote. “I'm very proud of her for recognizing sexism and for speaking her mind,” mom wrote on her blog. 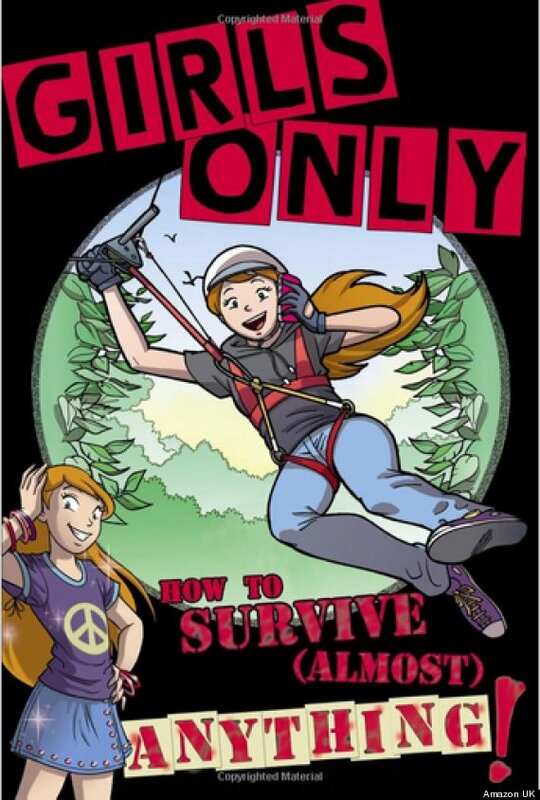 Perhaps next time, the How To Survive books should have added chapters on those skills, instead.